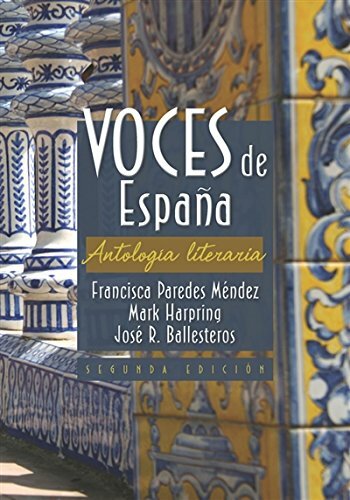 1285053834 -VOCES DE ESPAÑA, Second Edition is a literary anthology that introduces readers to the major writers and literary movements in Spain. Designed to provide a comprehensive introduction to Spanish literature, this fascinating book helps readers see the role that literature has played in shaping the nation. The completely revised second edition contains new essays and readings by contemporary authors as well as updated exercises, biographies, chronologies, and bibliographies that are intended to reflect the creation and evolution of ideas and attitudes toward Spanish identity. A specialized website includes lives links to additional resources as well as information pertaining to artwork, architecture, music, and film so that readers can see the relationship between literature and other cultural manifestations.